Each year, Luther College chooses ten scholars in the incoming first-year class to follow their creative curiosity and turn their dreams into realities. Each student will use their fellowship in different extended learning experiences beyond campus during their junior or senior year. Get to know our recent scholars chosen as Luther's Imagine Fellows. Thaddeus graduated from Urbandale High School in Urbandale, Iowa. He graduated from Luther with a double major in management and psychology. For his Imagine Fellowship, Thaddeus traveled to Europe to gain first hand knowledge of the European music festival business.He attended four music festivals including Field Day and Demon Dayz in the United Kingdom, Sónar in Spain, and Roskide held in Denmark. Thaddeus also had the opportunity to experience the modern musical culture of four countries. These included the UK, Spain, France, and Denmark, ranging from symphonies and operas to punk and electronic shows. Throughout the course of his trip Thaddeus also arranged meetings with members of the live music industry in Europe to discuss their experiences. He is now pursuing a career in the live music industry preferably for a music festival or venue. One day Thaddeus would like to operate his own festival. 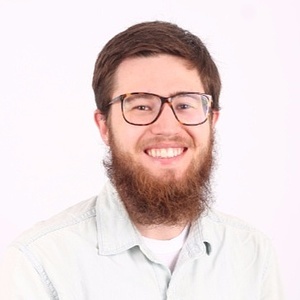 The Imagine Fellowship allowed him to gain first-hand knowledge from the premiere music festival industry in the world: allowing him to make valuable connections with those already working in the industry. Kristen is from LaGrange, Ill and graduated from Luther with a management major and music minor. 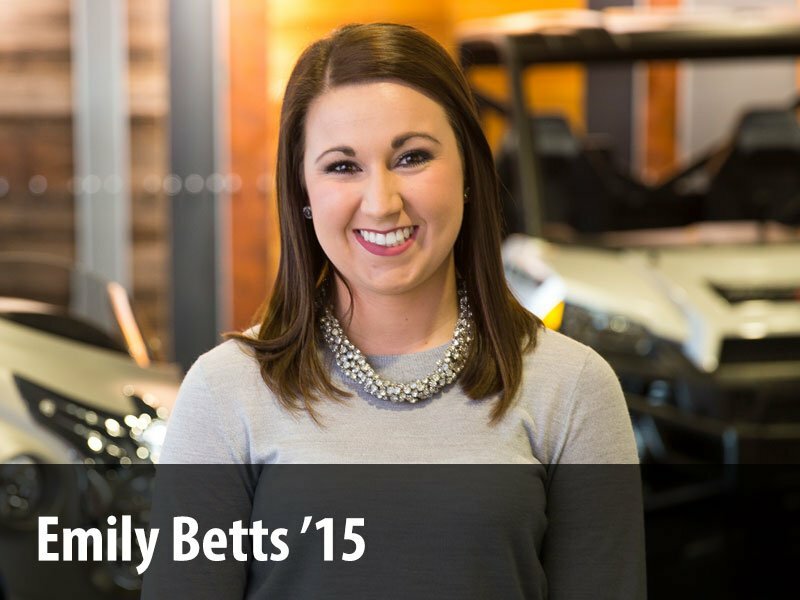 She worked on campus as an admissions communications assistant and special events tour guide, and as a staff writer for Luther’s Chips newspaper. Kristen also sang in Collegiate Chorale, enjoyed spending Saturdays at Java John’s, and loved Decorah’s natural beauty. Kristen has always appreciated and loved the arts, and she had the opportunity to experience the arts in many more ways because of her Imagine Fellowship. Kristen visited places she had never been to before, saw once-in-a lifetime performances, and learned about the history of people and places during her fellowship. She is eager to spend more time exploring art, culture, and new places in the future. 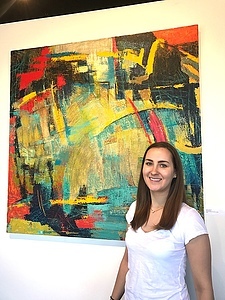 Kristen spent the summer before her senior year exploring the arts in the Midwest. In Chicago, she visited the Museum of Contemporary Art, toured the Lyric Opera, and attended a performance of Hamilton.Then, in Minneapolis, Kristen spent time at the Walker Art Museum and attended a performance of Sunday in the Park with George at the Guthrie Theater. She toured Frank Lloyd Wright’s Taliesin home in Wisconsin, and visited art galleries and a museum campus in Michigan. She has always loved the arts, and is very thankful that the Imagine Fellowship made these experiences possible. Shannon is from Gurnee, Ill. She majored in biology and environmental studies and is a strong believer in everyone’s ability to positively impact this marvelous world. Shannon used her Fellowship to spend the summer of 2017 at Holden Village – a neat place in Washington’s Cascade Mountains. She visited Holden for January Term in 2016 and fell in love with the community. She vowed to return. 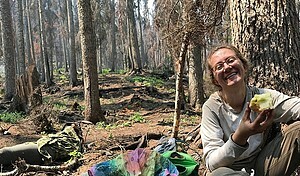 As part of her Fellowship, Shannon worked on a fire ecology research project with the US Forest Service. This included maintaining hiking trails and participating in conversations discussing the many challenges of climate change. Shannon spent the summer at Holden for an adventure, to improve her understanding of what ecological research, and to remind herself that this world is filled with passionate and caring people. While she was out among the mountains, Shannon learned to identify trees that were burnt to crispy oversized toothpicks. She scrambled up and down mountainsides, balanced on downed trees to cross streams, was covered head-to-toe in soot, and stumbled upon a giant patch of raspberries or huckleberries—it was glorious. Shannon learned she loves this field work and that she needs a job where she can be outside at least 75% of the time. The idea of pursuing a career in ecological research is quite attractive to her.